Nine Zero Lacquer June 2016 is a lilac holographic with holographic silver microglitter. The color is not overly loud but still vibrant enough to be lovely for summer! And the holographic effect is stunning! You’re looking at 2 coats. 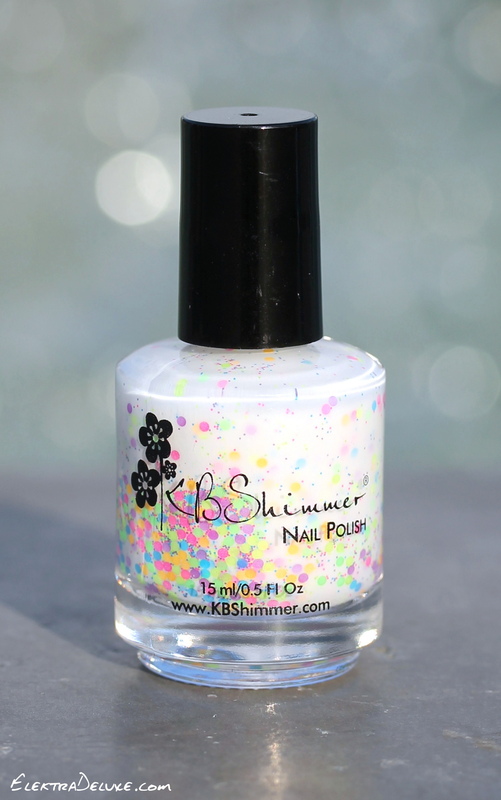 KBShimmer Neon Me is a white crelly with neon dots. This is a summer staple!! Everybody needs it. I love white nails in general but with the neon (!) dots (!!) included it opens another dimension for me 🙂 I applied 3 coats. OPI Fearlessly Alice is a bright swimming pool blue creme from the Alice Through The Looking Glass Collection. Formula and opacity are amazing! The polish covers in 1 coat. However, I did 2 as always. ILNP That Other Girl is a sheer rosy-pink base with holographic and gold flakes. 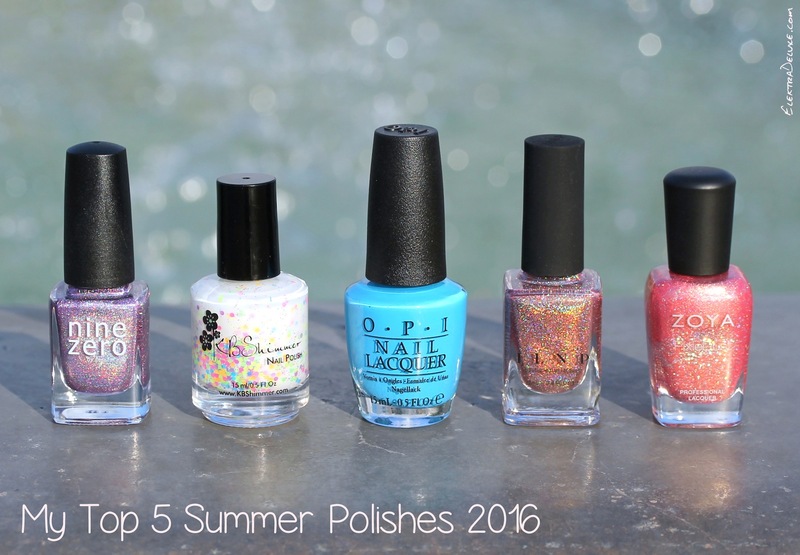 I’ve already shown it to you a few days ago as part of the ILNP Summer Collection. The polish is breathtaking and everybody can wear it! I’m convinced it suits all different kinds of skin tones. This is 3 coats. 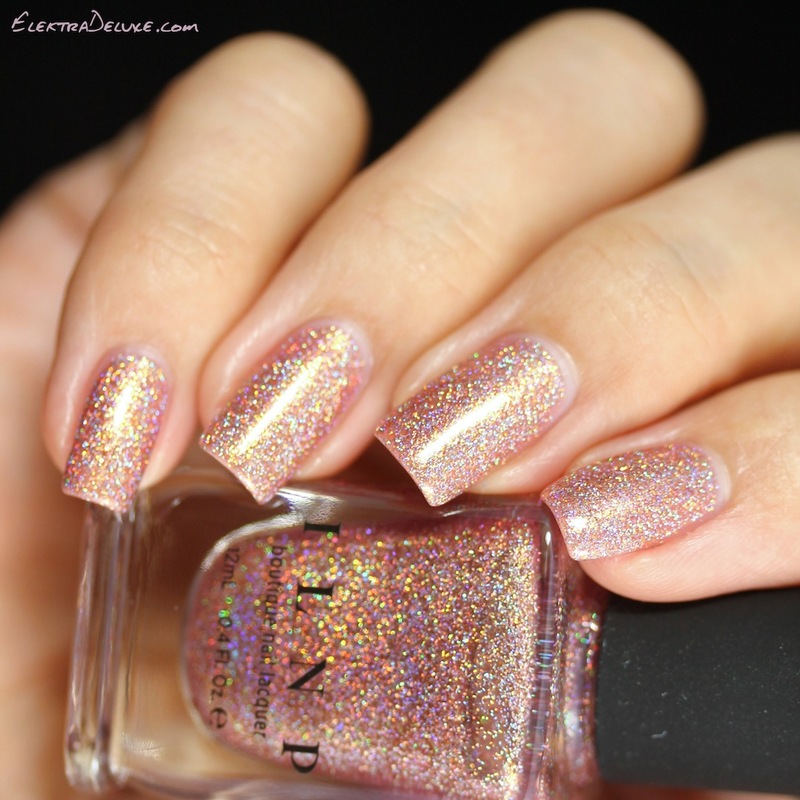 Zoya Zooey is a coral-pink textured Pixie Dust with medium holographic hex glitter and a strong gold shimmer. It is part of the new Seashells Collection. I was surprised that Zoya released more Pixie Dusts after discontinuing all the other textured polishes but I sure won’t complain! I love the Pixie Dusts and especially this particular shade! I applied 2 coats but I think you could get away with 1.